wholesale tactical gear, Wholesale Pouches, pouches, MOLLE pouch, magazine pouch, radio pouch, handcuff pouch, flight light pouch, hand grenade pouch, short gun ammo pouch, utility pouch, gas mask pouch, medic pouch. Excellent quality drop leg magazine pouch assembly. 2 magazine pouches. Excellent quality drop leg magazine pouch assembly. 2 magazine pouches. Excellent quality drop leg magazine pouch assembly. 2 magazine pouches. Excellent quality drop leg magazine pouch assembly. 3 magazine pouches. Excellent quality drop leg magazine pouch assembly. 3 magazine pouches. Excellent quality drop leg magazine pouch assembly. 3 magazine pouches. Covered handcuff case with snap closure. Fits up to 2.25" belt. Unique design funny pack with a universal holster for concealed carry. Mag pouches with drain holes and Velcro closure. Velcro hook on the back. Work on any vest, bag or pack with Velcro attachment system. Mag pouches with drain holes and Velcro closure. Velcro hook on the back. Work on any vest, bag or pack with Velcro attachment system. Mag pouches with drain holes and Velcro closure. Velcro hook on the back. Work on any vest, bag or pack with Velcro attachment system. Mag pouches with drain holes and Velcro closure. Velcro hook on the back. Work on any vest, bag or pack with Velcro attachment system. 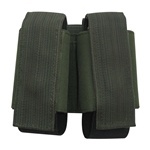 3-fold Mag Recovery Pouch / Dump pouch. Fits belts up to 3" wide. Can be Rolled up or deployed easily when needed. 3-fold Mag Recovery Pouch / Dump pouch. Fits belts up to 3" wide. Can be Rolled up or deployed easily when needed. 3-fold Mag Recovery Pouch / Dump pouch. Fits belts up to 3" wide. Can be Rolled up or deployed easily when needed. Inside The Pants Concealed Cell Phone Holster. Holds cell phone on the outside of your pants while holding pistol on the inside. Universal Speed Loader with Belt Loop. 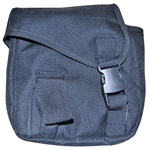 This Taigear MOLLE pouch can hold a Gas Mask or a M249/M60 box magazine or a C-Magazine/Drum Magazine. This TAIGEAR MOLLE pouch can hold two 40mm Grenades or two M16 sized magazines. Low profile. Velcro closure with elastic bottom. This TAIGEAR MOLLE pouch can hold two 40mm Grenades or two M16 sized magazines. Low profile. Velcro closure with elastic bottom. This TAIGEAR MOLLE pouch can hold two 40mm Grenades or two M16 sized magazines. Low profile. Velcro closure with elastic bottom. This TAIGEAR MOLLE pouch can hold two 40mm Grenades or two M16 sized magazines. Low profile. Velcro closure with elastic bottom. This TAIGEAR MOLLE pouch can hold two 40mm Grenades or two M16 sized magazines. Low profile. Velcro closure with elastic bottom. This TAIGEAR MOLLE pouch can hold two 40mm Grenades or two M16 sized magazines. Low profile. Velcro closure with elastic bottom. This TAIGEAR MOLLE pouch can hold 2 standard pistol magazines. Velcro closure with quick pull opening. 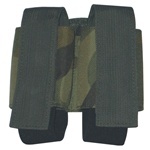 This TAIGEAR MOLLE pouch can hold 2 standard pistol magazines. Velcro closure with quick pull opening. This TAIGEAR MOLLE pouch can hold 2 standard pistol magazines. Velcro closure with quick pull opening. This TAIGEAR MOLLE pouch can hold 2 standard pistol magazines. Velcro closure with quick pull opening. This TAIGEAR MOLLE pouch can hold 2 standard pistol magazines. Velcro closure with quick pull opening. This TAIGEAR MOLLE pouch can hold 2 standard pistol magazines. Velcro closure with quick pull opening. This nice MOLLE pouch can hold 4 M16, AK, AUG magazines or 2 G36, G3 magazines or 6 MP5 magazines. Velcro closure with adjustable buckle. This nice MOLLE pouch can hold 4 M16, AK, AUG magazines or 2 G36, G3 magazines or 6 MP5 magazines. Velcro closure with adjustable buckle. 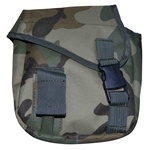 This nice MOLLE pouch can hold 4 M16, AK, AUG magazines or 2 G36, G3 magazines or 6 MP5 magazines. Velcro closure with adjustable buckle. This nice MOLLE pouch can hold 4 M16, AK, AUG magazines or 2 G36, G3 magazines or 6 MP5 magazines. Velcro closure with adjustable buckle. This nice MOLLE pouch can hold 4 M16, AK, AUG magazines or 2 G36, G3 magazines or 6 MP5 magazines. Velcro closure with adjustable buckle. This nice MOLLE pouch can hold 4 M16, AK, AUG magazines or 2 G36, G3 magazines or 6 MP5 magazines. Velcro closure with adjustable buckle. This TAIGEAR MOLLE pouch can hold two hand grenades or 1,000 ct loader bottles. Adjustable buckle closure. This TAIGEAR MOLLE pouch can hold two hand grenades or 1,000 ct loader bottles. Adjustable buckle closure. This TAIGEAR MOLLE pouch can hold two hand grenades or 1,000 ct loader bottles. Adjustable buckle closure. This TAIGEAR MOLLE pouch can hold two hand grenades or 1,000 ct loader bottles. Adjustable buckle closure. This TAIGEAR MOLLE pouch can hold two hand grenades or 1,000 ct loader bottles. Adjustable buckle closure. This TAIGEAR MOLLE pouch can hold two hand grenades or 1,000 ct loader bottles. Adjustable buckle closure. This TAIGEAR MOLLE pouch can hold two hand grenades or 1,000 ct loader bottles. Adjustable buckle closure. This TAIGEAR MOLLE canteen cover is designed for 2 QT Canteen with cinch-tight strap and buckle close. This TAIGEAR MOLLE canteen cover is designed for 2 QT Canteen with cinch-tight strap and buckle close. This TAIGEAR MOLLE canteen cover is designed for 2 QT Canteen with cinch-tight strap and buckle close. This TAIGEAR MOLLE canteen cover is designed for 2 QT Canteen with cinch-tight strap and buckle close. This TAIGEAR MOLLE canteen cover is designed for 2 QT Canteen with cinch-tight strap and buckle close. This TAIGEAR MOLLE canteen cover is designed for 2 QT Canteen with cinch-tight strap and buckle close. This TAIGEAR MOLLE utility pouch is designed for cell phones, PDAs, digital cameras, keys.